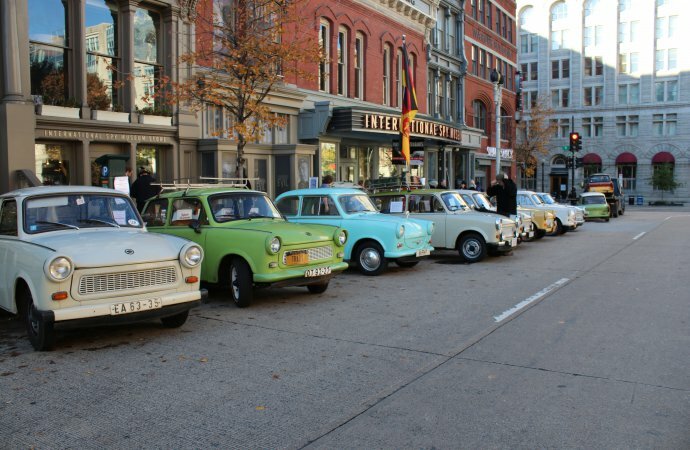 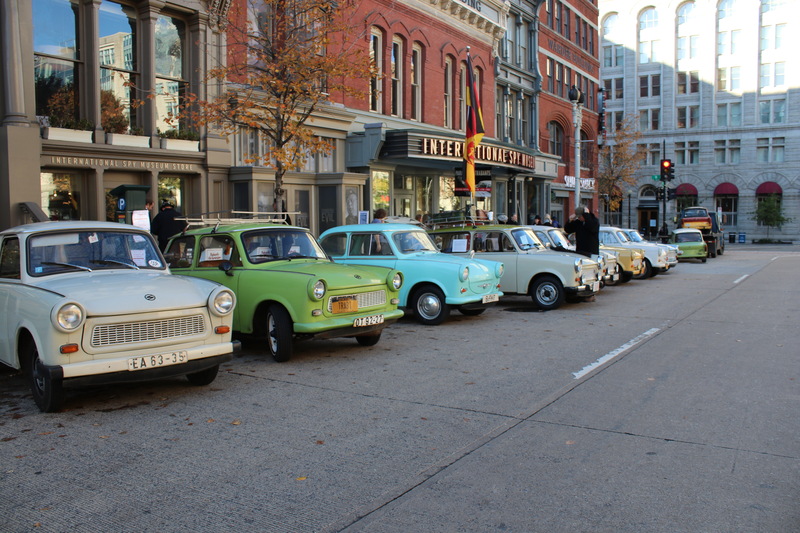 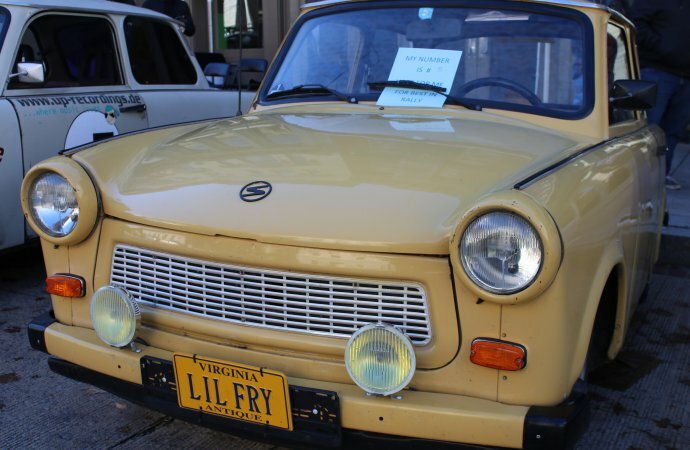 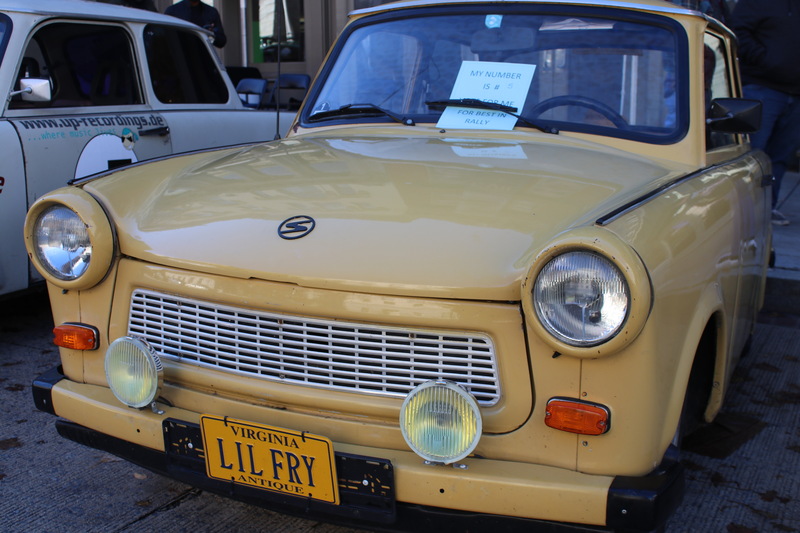 20 cars produced in the former East Germany line up for the 12th annual Parade of Trabants at the International Spey Museum in Washington, D.C.
Spy museum stages annual car show and history lesson on streets of Washington, D.C. 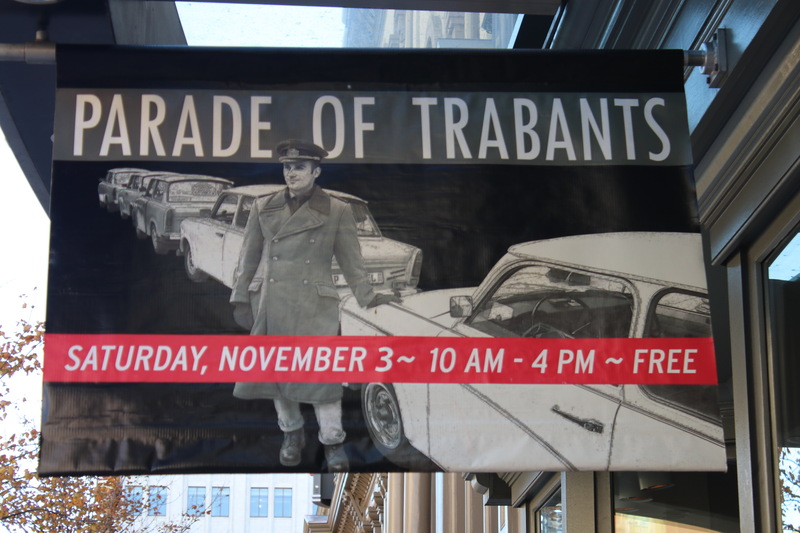 Welcome to the 12th annual “Parade of the Trabants,” a combination classic car show, urban road rally, and class in Cold War history staged this past weekend at the International Spy Museum in Washington, D.C.
Twenty Trabants, about 10 percent of all Trabants in the U.S., took the curious for rides through DC streets, smashed through a cardboard replica of the Berlin Wall, and showed off Ride-a-Mower sized five-part engines under hoods fabricated from a cotton fibers and resin compound called Duroplast. 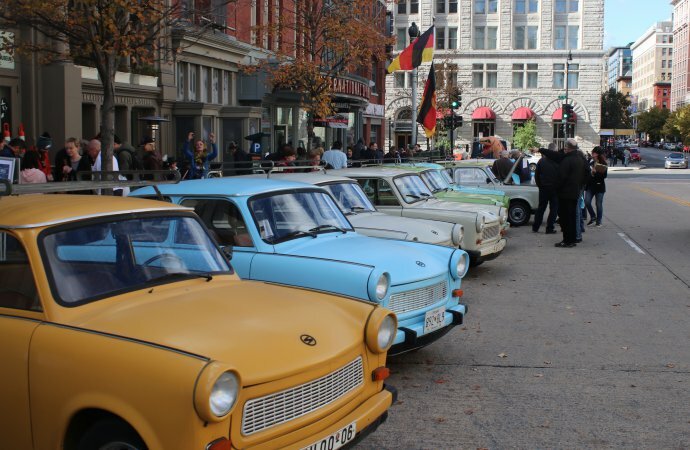 East Germany, or the German Democratic Republic, was a Communist state formed from the portion of Germany occupied by the USSR when World War II ended in 1945. The principal city, Berlin, was divided into East and West zones, the latter under the control of the US and its victorious Allies, Great Britain and France. 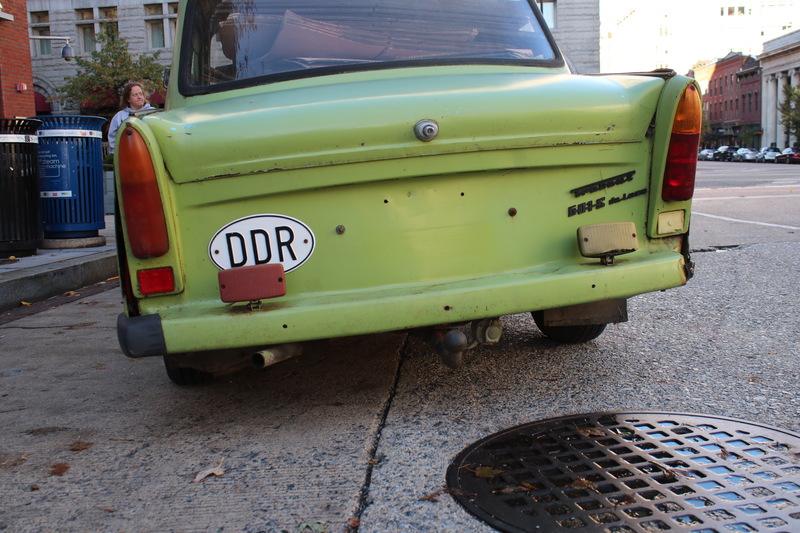 The East Germans erected a large wall in Berlin in 1961 to prevent East Germans from fleeing to the West. 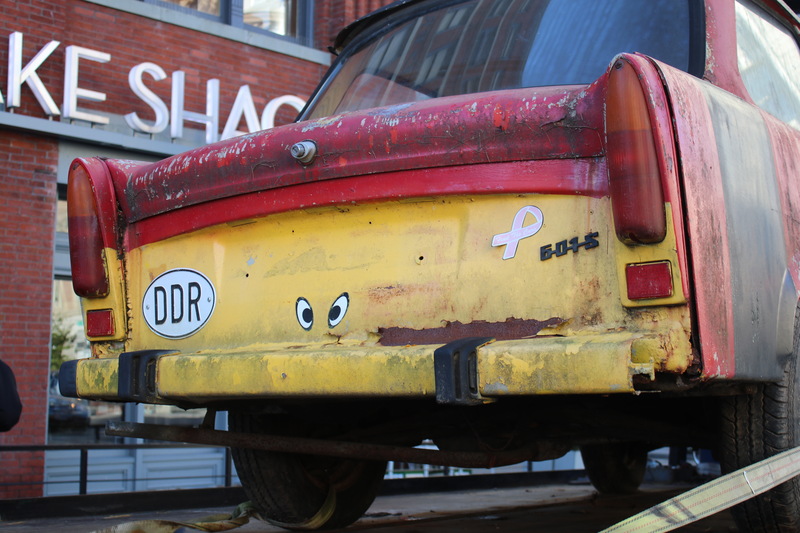 The Berlin Wall was dismantled in November 1989. 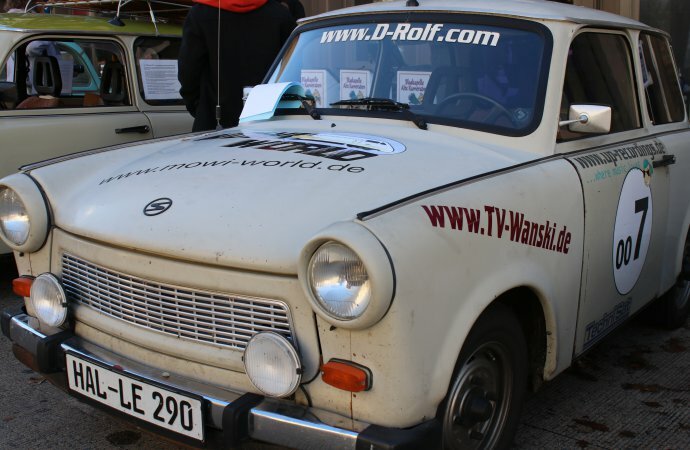 VEB Sachsenring of Zwickau made about 2.8 million Trabants from 1963 to 1990, when East Germany collapsed and was subsumed into the democratic West, according to research by Crews and fellow owner George Newman. 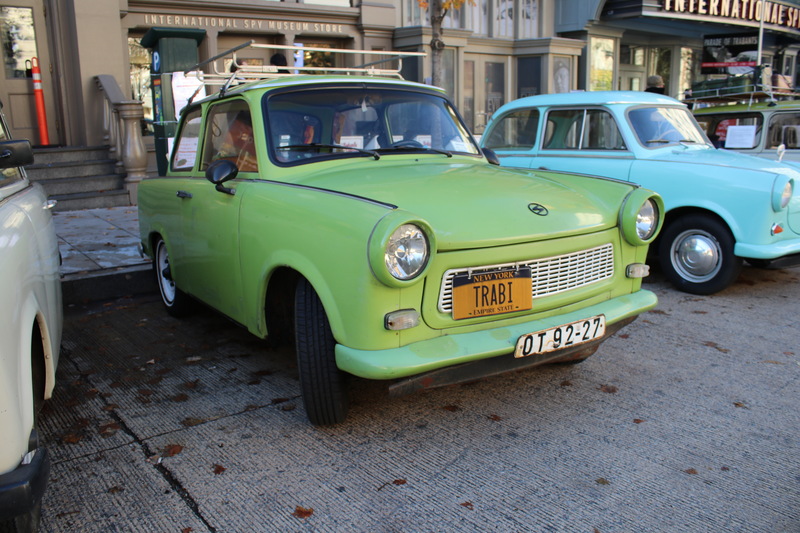 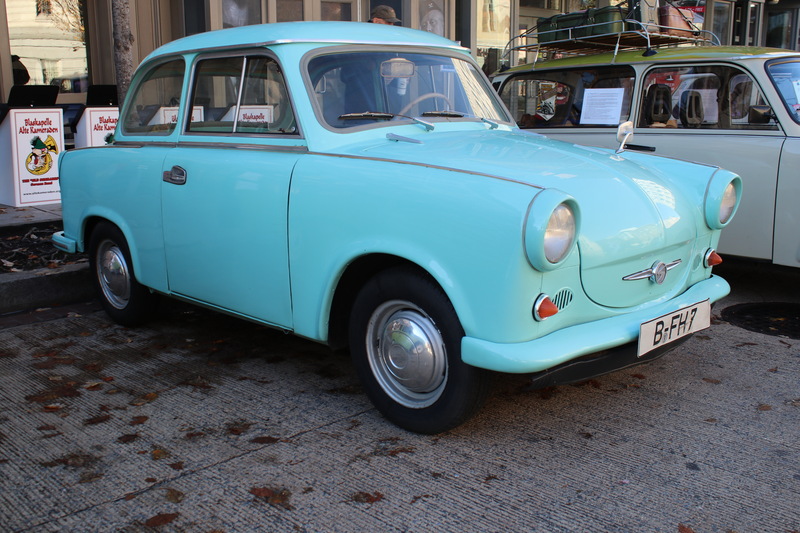 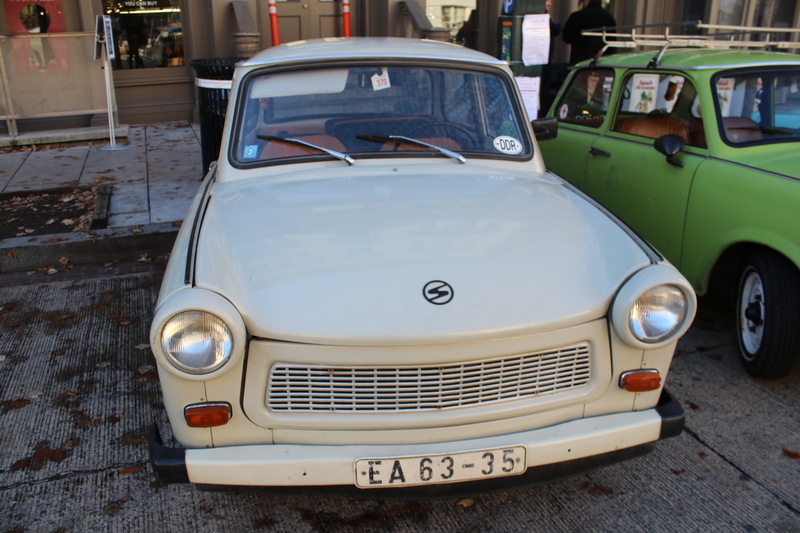 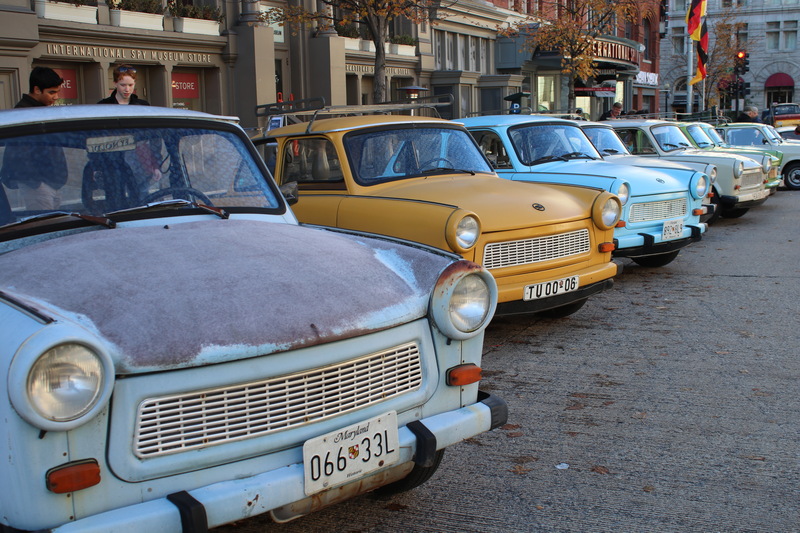 ‘’Trabant” is German for “Satellite,” in honor of the Soviet Sputniks first launched in 1957. 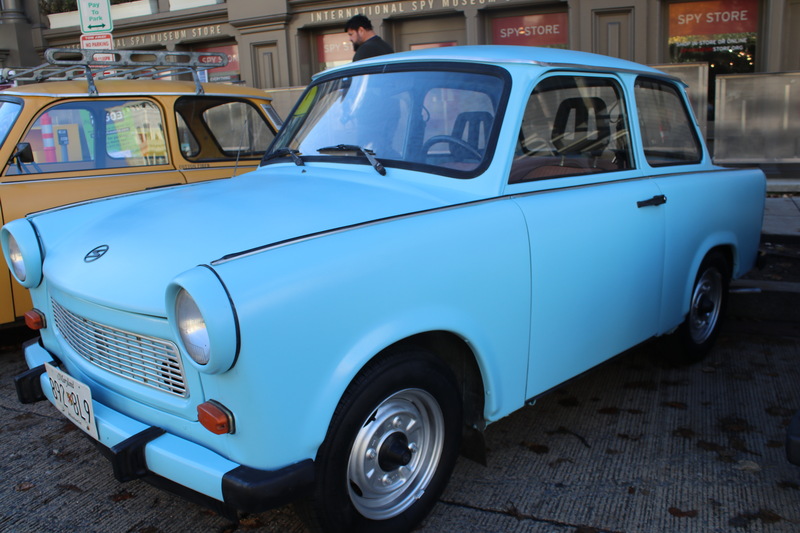 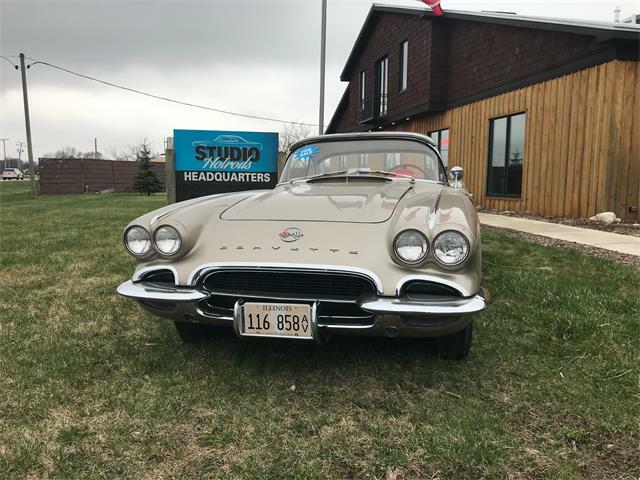 The vehicles, which came in blue, green, mustard and parchment, cost about a year’s salary and had a years-long buyers’ waiting list, according to Mike Dyer, one of those displaying his car at the parade. 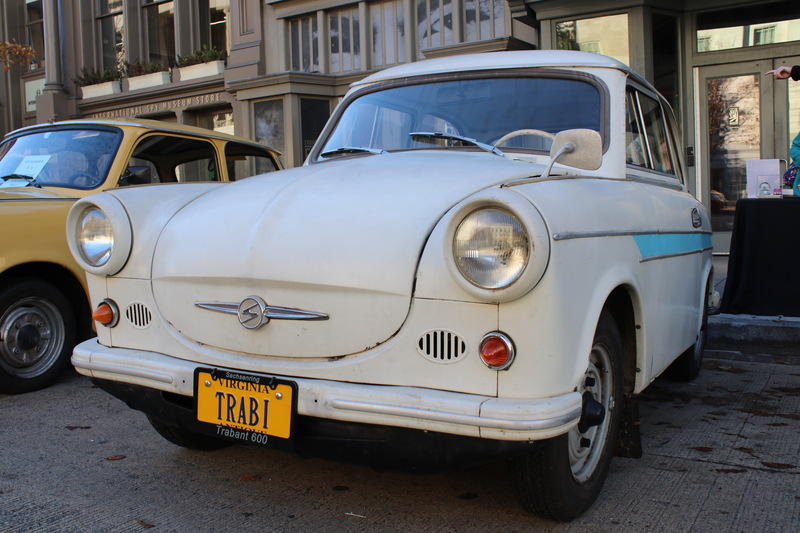 Trabants can be picked up for about $6,000 these days, if you can find one. “(The car) is a symbol of repression but it’s also a celebration of freedom,” he said, noting that as the Wall was torn down, East Germans drove their cars through the gaps then walked away when they ran out of gas. 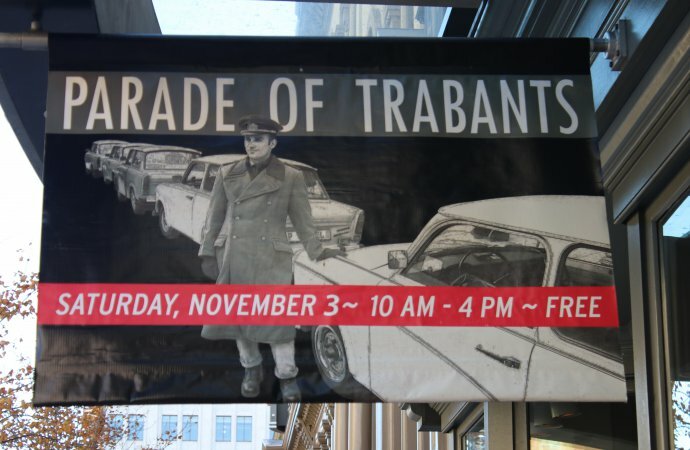 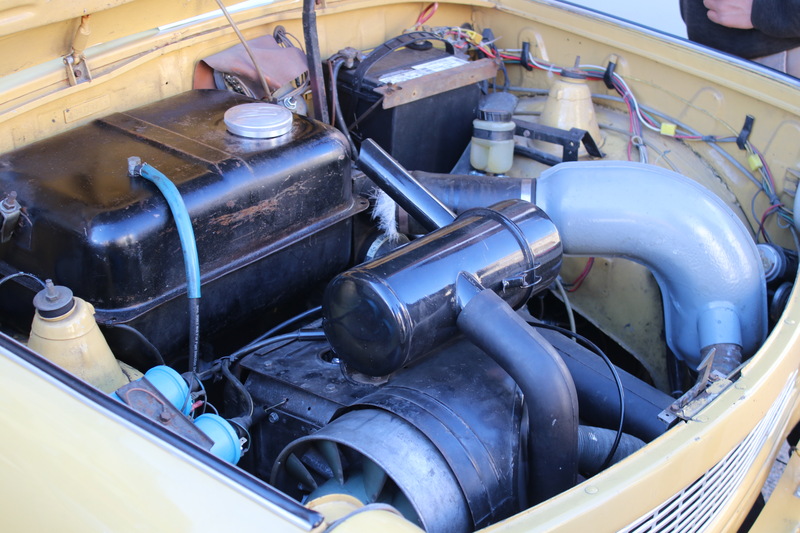 I’m out here in California and sure would like to participate in the Trabant gathering but that’s a very long trip for someone driving a 26 horsepower air cooled Trabant! 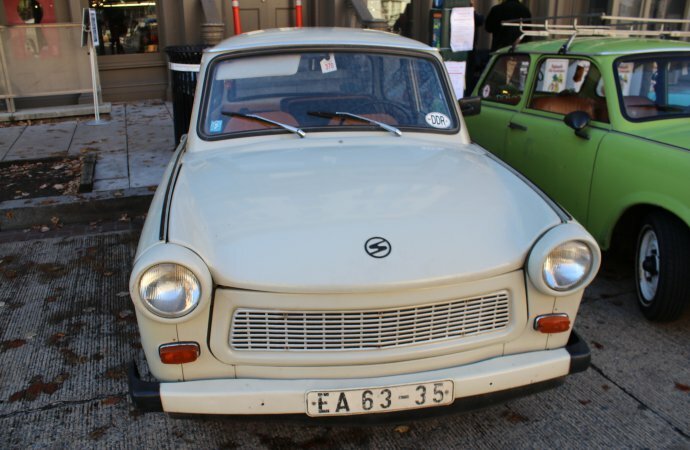 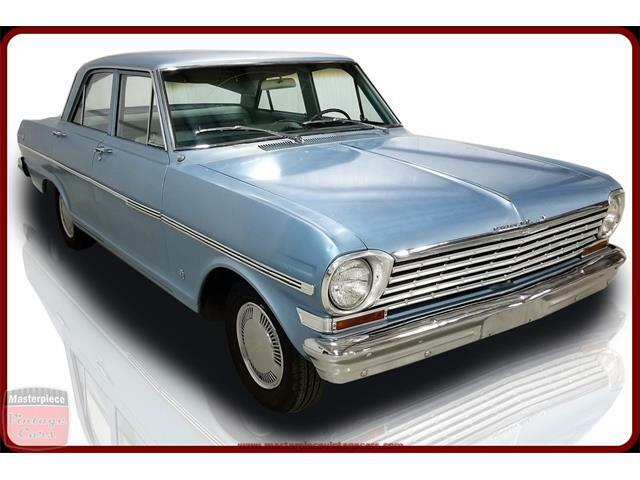 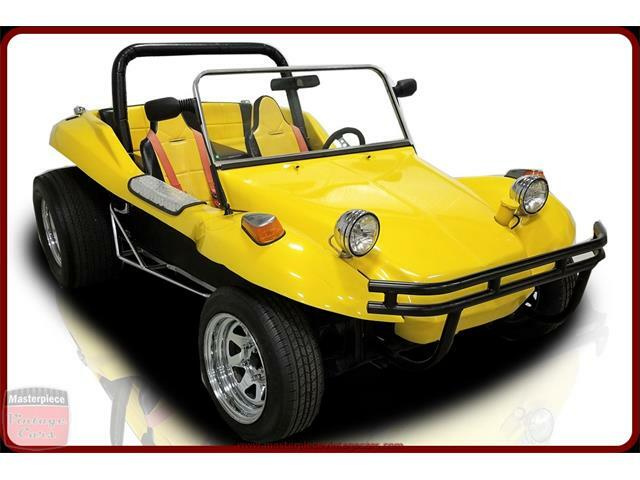 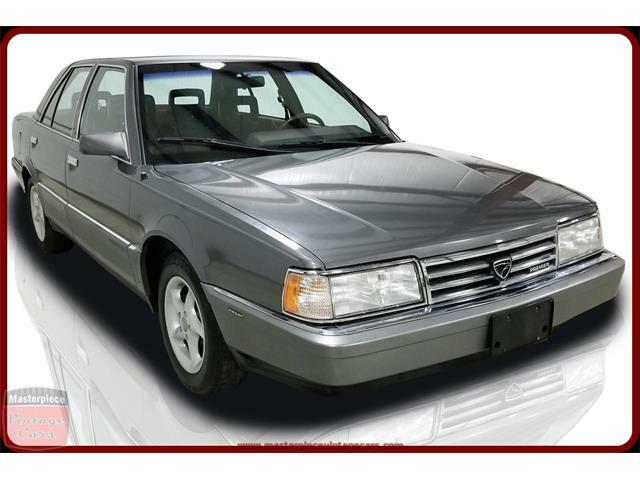 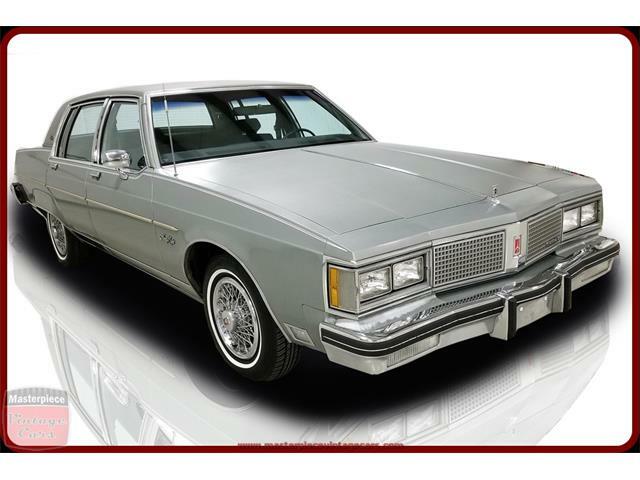 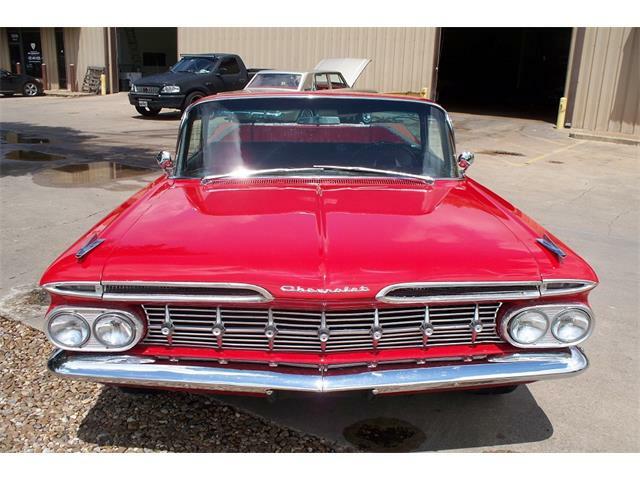 I have owned six of these cars over the past couple of decades including the very first one that I saw in late 1989 while visiting friends in Germany. 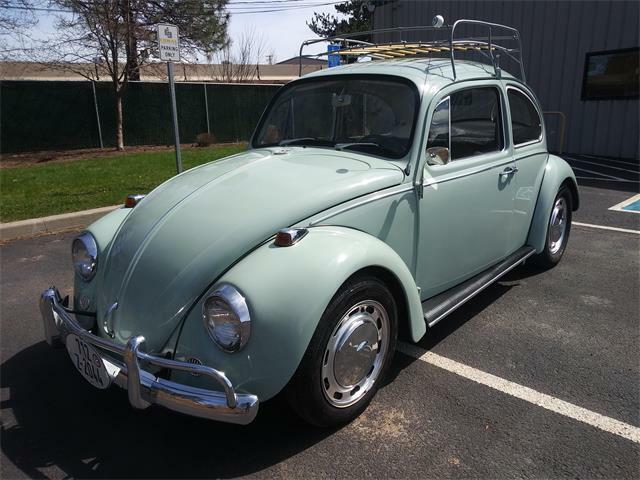 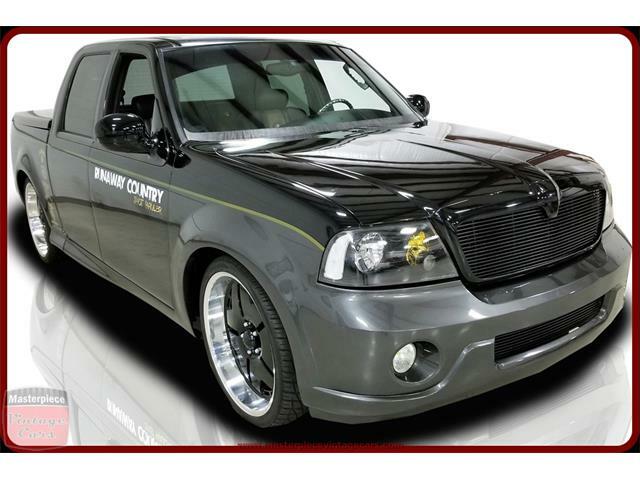 I think I’ll just hang on to that one that I first saw and still own. 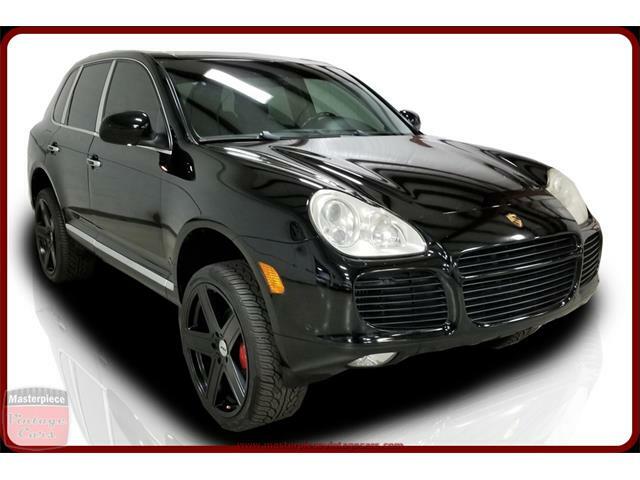 The other one that I own out of the six total is available for the next person that wants to take the Trabi Trek! 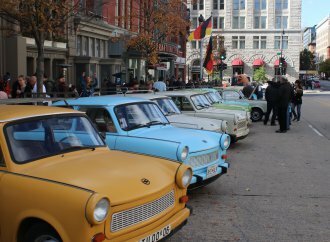 These collectors must be a few odd East Germans who want to bring back their past thrills and memories of running out of gas in West Germany. 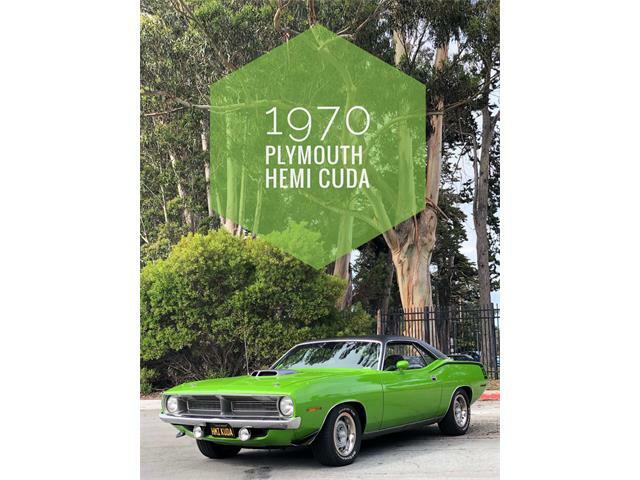 Cheers to Michael Crews and his friends.